Architecture is an esteemed profession. If you have dreams of becoming one, you should strive to enrol in any of the best architecture schools so that you can guarantee a better outcome for your future. The programs are geared towards supporting current global environmental issues such as scarcity of resources, rapid urbanization and so forth. The School of Architecture and Interior Design believes that architecture is no longer just the acquisition of technical proficiency but also ethical judgment especially with regards to environmental intervention. They offer undergraduate degrees in Architecture, as well as Masters, Masters of Science and Doctorate Degrees that are programmed to adapt to the constant changes in the practice. MIT, one of the best architecture schools in America, specializes in Interior Design, Housing, History, Regional Architecture, Architectural Design, Computer-Aided Design and Sustainability. As a “research institute”, MIT aims at higher learning and by this standard, it remains among the premier universities in the world. Princeton’s School of Architecture opened in 1919 and offers degrees such as Bachelor of arts, Masters of Architecture and Doctor of Philosophy. At RiceUniversity, students of the School of Architecture are able to enjoy learning at 9:1 student teacher ratio. They offer four- to five-year undergraduate and graduate degrees that may be culminated in a semester-long study in Paris, France. 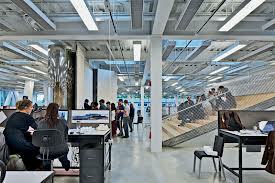 Sci-Arc, located in Los AngelesCalifornia, offers Bachelors and Masters Degrees in Architecture. It has excellent undergraduate and graduate programs in the field that are accredited by the National Architectural Accrediting Board (NAAB). It also hosts public community programs where interactive opportunities are given in the form of lectures, exhibitions and faculty talks. Penn Design, one of the best architecture schools in America, specializes in Architectural Design, Environmental Systems, Computer-Aided Design and Building Info Modelling. Originally part of the Fine Arts Department, it is now a single school offering grants and scholarships to students as determined by FAFSA or the International Student Financial Aid application. SamFoxSchool believes that now is an exciting time to be a designer or architect. Offering Bachelors and Masters Degrees in Architecture, their programs are designed to integrate with liberal arts and engaged in the utilization of digital media. Originally in the Fine Arts Department of the esteemed University, it has maintained its reputation as one of the best schools in architecture. It offers degrees of Masters of Architecture as well as Masters of Environmental Design, while instilling fundamental disciplines in sculpture, graphic design, fine arts, furniture design and painting. One of the oldest and most respected architecture schools in the country, CornellUniversity bridges the gap between traditional and modern principles through the proper utilization of a conceptual problem-solving discipline. Offering Bachelors and Masters degrees in Architecture, it specializes in Architectural Design, Computer-Aided Design, Environmental Systems, Sustainability and Professional Practice. Harvard School of Design is at the top of the best architecture schools in the country. It is diverse in every sense of the word so students can enjoy the privilege of gaining a true edge in the field through the various master’s and doctoral programs it offers. The school you choose defines the kind of professional you will become in the future. Architecture is a developing discipline that not only relies on the innate capacity and eye of the student, but also on the quality of education he receives. Make the right decision for your future today. This entry was posted on December 31, 2013 at 9:00 am. You can follow any responses to this entry through the RSS 2.0 feed. You can leave a response, or trackback from your own site.